Everyone has their "big fish" stories of games that went way to well for them. Figured I'd get a thread up to memorialize them. Post screenshots of games you carried, games that came from behind, games that make League worth playing for ya. 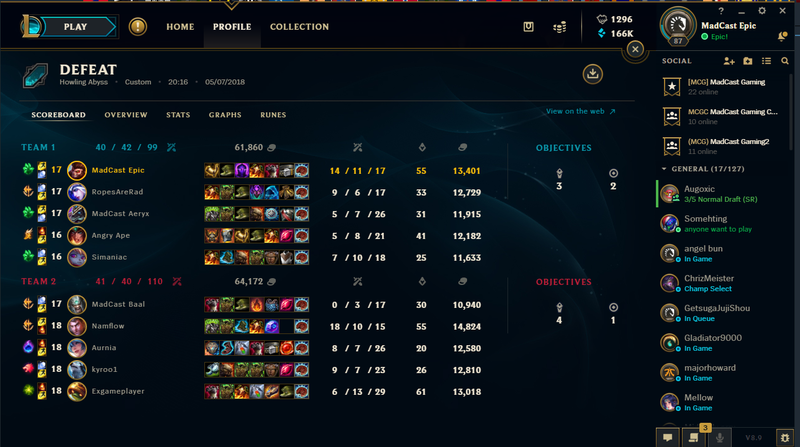 Was playing support Jhin for the first half of this ARAM, 0/1/9. Then Dark Harvest started to take off and it went so very well. you are a disgusting individual Baal. . . and my hero. You need to set the bar higher for whom you admire. The first time @MadCast: Baal has managed to beat me in a game. He worked so hard too! 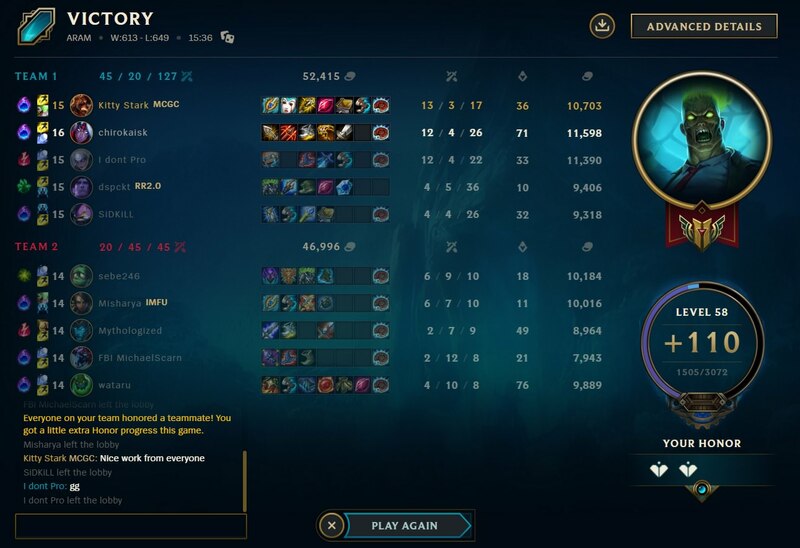 Just had this game in an ARAM. It felt really damn good. This is the most one-sided ARAM I've ever played. @MadCast: Baal I know you said no losses, but I have one game that is just too hilarious not to share. 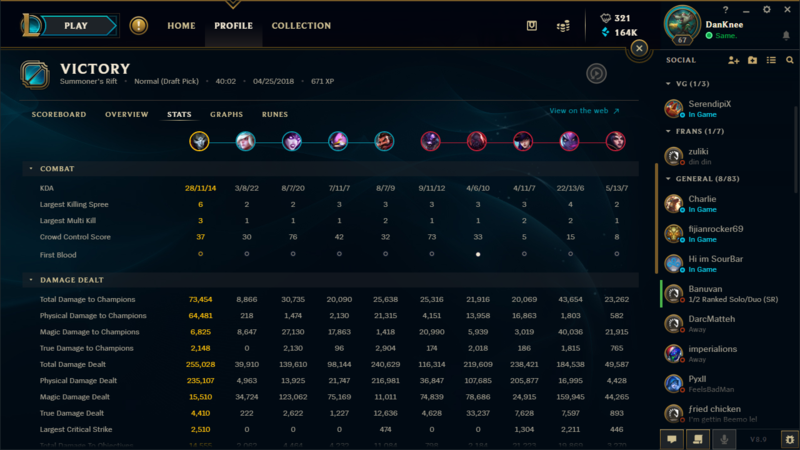 Turns out Mundo's really good when the enemy has 0 DPS and doesn't build grievous wounds until their 5th or 6th items. Sometimes you just get those games where you just snowball... and then it doesn't stop. Always great when you don't need executioner's against Aatrox because you just burst him 100 to 0. Insert clickbait about how Zoe is busted. Zoe (me) vs. Irelia mid. Screenshot didn't have actual damage numbers. 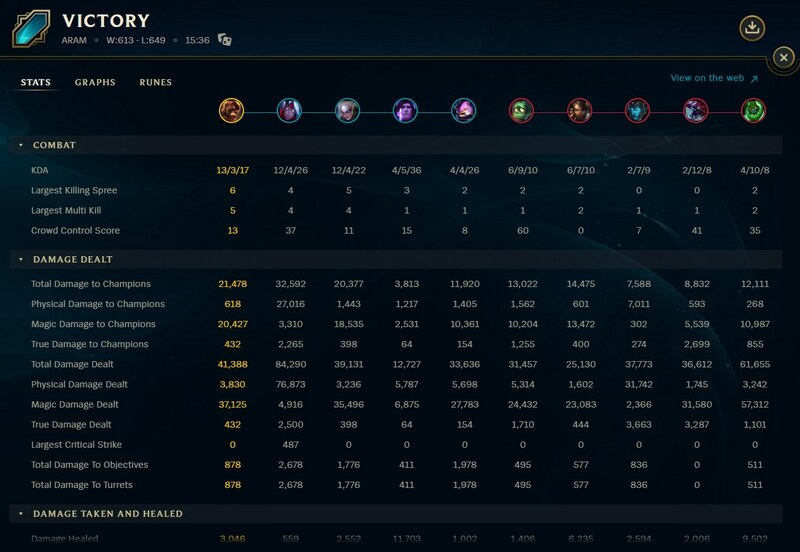 Well since you asked, here's my very old legendary Jhin carry to a loss on an ARAM, still outclassed by a 43 kill karma. Yes I am better than Epic on Jhin, I will have an autograph session later. Sometimes you just have to do more damage than the rest of the team to win. Bonus points for making Zed complain about how Camille is OP. Don't get many of these anymore but I finally have a decent one to post.